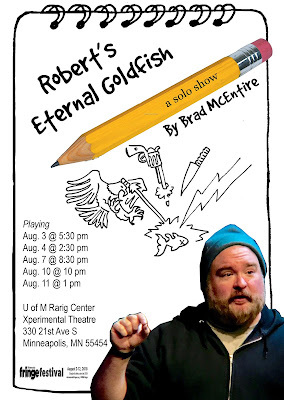 I am performing my solo show Robert's Eternal Goldfish at this summer's 25th Annual Minnesota Fringe Festival. 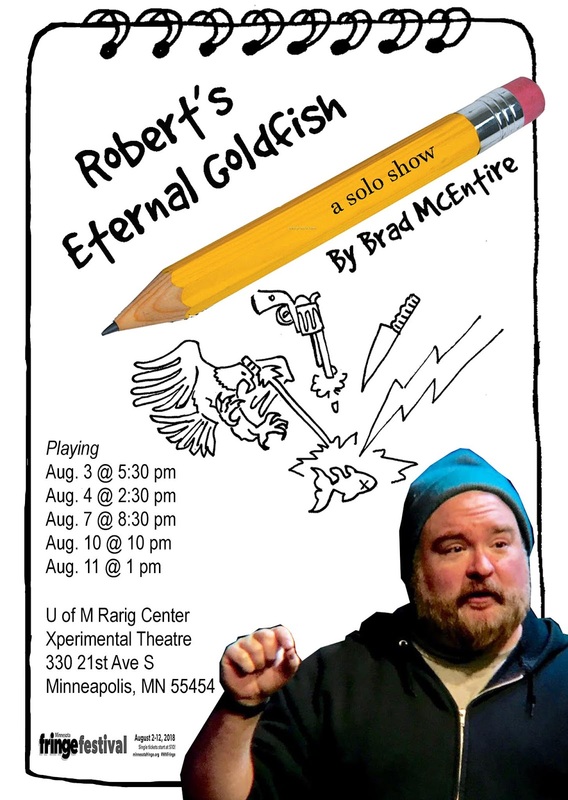 I am playing at the University of Minnesota Rarig Center's Xperimental Theatre. 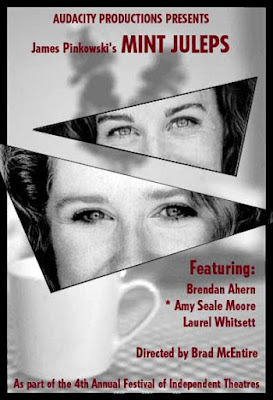 Three plays, each given two readings with an audience talkback and a day in between so the playwright may revise. 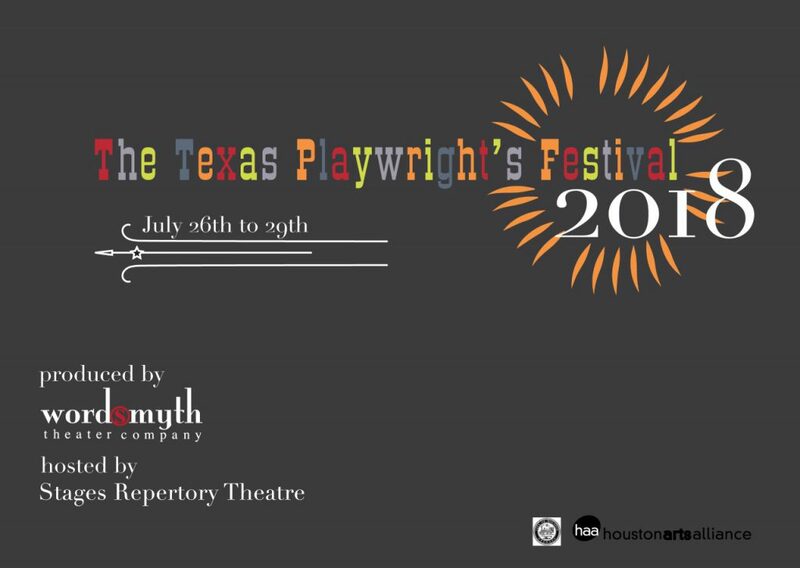 All by Texas Playwrights! 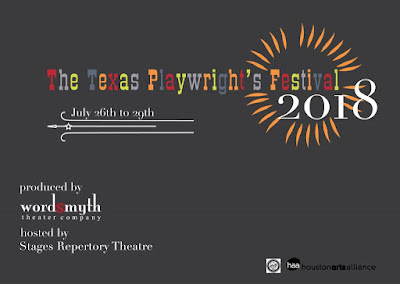 I will be joining playwrights Ben Schroth and Stephen Brown who will also be presenting new works. I have really enjoyed participating in the FITs over the years. I first got involved when Brenda and Michael Galgan (of Beardsley Living Theatre and co-founders, along with David Fisher, of the FIT) suggested I apply in 2002. I did a show called MINT JULEPS back when Audacity was still Audacity Productions. That was the first time I got to work with the excellent Laurel Whitsett. Russell Dyer was my lighting designer for that show and David Fisher drafted him into the FIT production team after that. I then submitted something every couple of years. 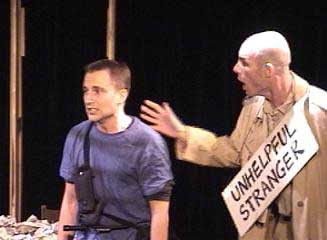 The next year, I produced Mac Wellman’s CLEVELAND in 2003 and introduced FIT audiences to a hungry up-and-coming actor named Jeff Swearingen (in the role of Panda Hands). I particularly enjoyed presenting my play FOR THE LOVE OF AN ANESTHESIOLOGIST back in 2004. It was the first play of mine that I presented to Dallas audiences and felt confident in calling myself a playwright after that. Sometimes I’d just be a producer behind-the-scenes like for Jaymes Gregory’s original GOSPEL OF THE JUNKYARD in 2005 (or his adaptation of THE GREAT DICTATOR in 2017) or the Jeff Hernandez-directed production of my own play ARSENIC & ROSES in 2009. I even acted in the FIT, both on the secondary stage in the gallery (now down below in the old boat storage area under the building) and on the main stage. My comedy troupe Mild Deemntia played in the gallery when FIT was at its largest in 2004. 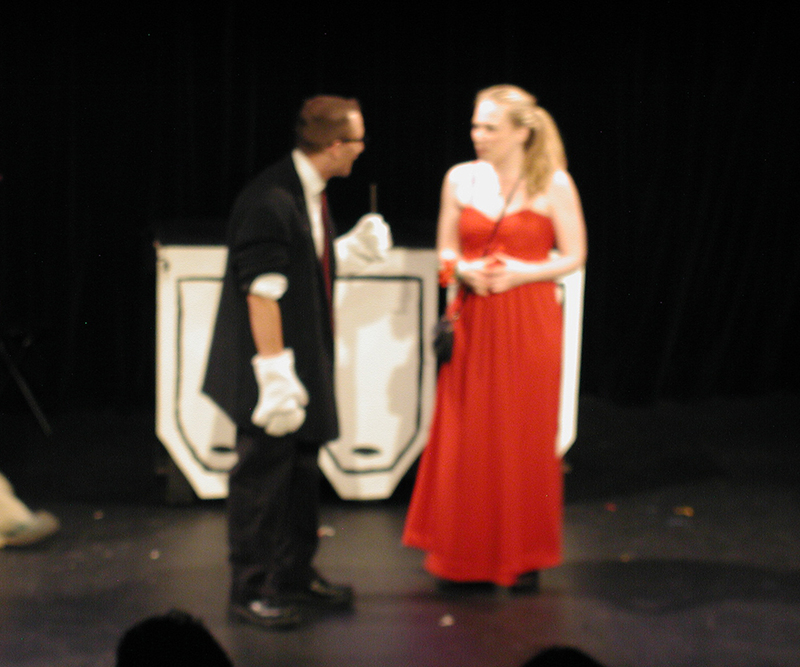 I was in Jeffrey Schmidt and Lydia Mackay's Drama Club debut show, an adaptation of Strindberg's GHOST SONATA in 2008. 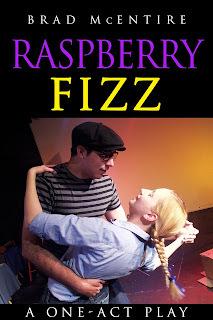 In 2013, I wrote/directed/produced/acted in my proudest FIT production. 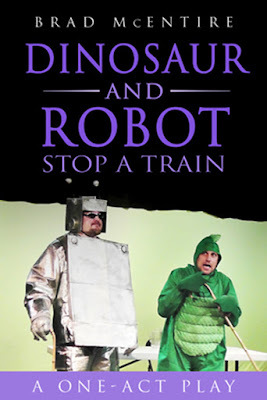 It was called DINOSAUR AND ROBOT STOP A TRAIN. 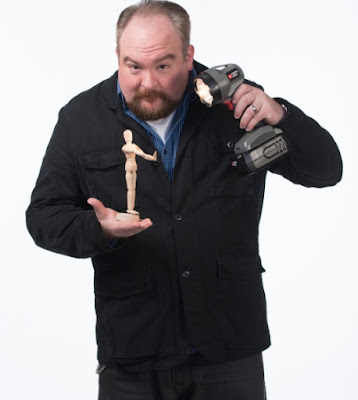 I played a robot to Jeff Swearingen's goofy dinosaur. It was a blast. Besides the engaged and bountiful audiences, the best part has been the great artists I have met and worked with through the FIT. I have particularly liked seeing where they have gone after starting out at the FIT. Swearingen and I worked on-and-off for years on various projects. He went on to found his own theatre company. I met Matt and Kim Lyle of Bootstraps at he FIT. Years later I would commission Matt to write a play for Audacity (which became HELLO HUMAN FEMALE). Matt has gone on to have his plays produced at several high-tax-bracket theatres around Dallas. Russell, mentioned above, was an old college buddy of mine and now is the General Manager of the 749-seat Moody Performance Hall (formerly known as the Dallas City Performance Hall). David Fisher used to champion small, indie theatre groups at the Bath House Theatre Center, including Audacity in its earliest days. He used to run the BHCC where the FIT took place, and where he helped produce it, went on to be Director of the Dallas Office of Cultural Affairs for a while. David Meglino, who now produces the FIT, acted with me in GHOST SONATA. I am glad the FIT has made it to 20. I hope it runs for 20 more years and continues to be a testing ground for new works and new groups in the Dallas cultural landscape.